Accepted as an official affiliate event of the Global Climate Action Summit. To meet the challenges brought on by climate change, financial institutions must concern themselves with financing the transition to a low-carbon economy, and managing the mounting risks related to climate change impacts and the economic transition. Of course, where there is risk, there is also opportunity for those who are aware of the big picture. Insightful tools are being designed for investors, analysts, and regulators to better understand and manage climate change risks and identify relevant investment opportunities. 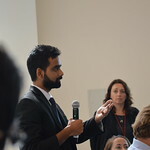 Together with Carbon Delta, a Zurich-based fintech startup and alumni of the SAFT program, swissnex San Francisco is taking advantage of the Global Climate Action Summit to showcase new solutions for responding to the financial challenges presented by climate change, focusing on new research, analysis, and datasets. 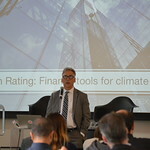 This event will expose participants to tools and methodologies that support the climate change analysis and TCFD-aligned disclosure processes, such as energy transition scenarios, identifying low carbon investment opportunities, the alignment of investment portfolios with climate targets, and applying new asset valuation metrics such as Climate Value-at-Risk. Cary Krosinsky teaches at Yale and Brown, and is a leading author and advisor on sustainable investing. 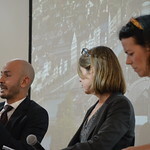 In Sustainable Investing: Revolutions in Theory and Practice he describes future investment success as requiring a sustainability focus, while desired outcomes require a business case. 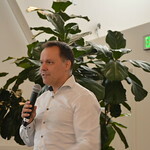 Sustainable Innovation and Impact, his most recent book, suggests a system of scalable solutions to unsolved challenges. Cary is a member of the Decarbonization Advisory Panel appointed by NY Governor Cuomo and Comptroller DiNapoli in 2018, and also advises the UK-China Green Finance Taskforce. He is also Co-founder and Director of the Carbon Tracker Initiative and Real Impact Tracker, and Strategic Advisor to organizations such as BlueSky Investment Management. 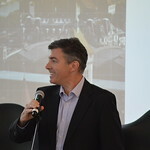 His teaching at Brown University helps support the Sustainable Investment Fund component of the Brown endowment, and he lectures on Sustainable Finance at the Yale School of Management and at Yale College. Dan Carol is currently Senior Advisor for Infrastructure and Energy to California Governor Jerry Brown where he focuses on accelerating innovative infrastructure project partnerships inside California, regionally and nationally. Before that, Dan served the Obama Administration as U.S. DOE State Energy Advisory Board member and established the West Coast Infrastructure Exchange, a 2015 winner of the Harvard Ash Center award for government innovation. Dan also has researched, published, and taught at Georgetown University on government innovation and infrastructure finance. Having previously authored Special Area Management, Dan is currently working on a new book on community innovation while enjoying life in Washington DC with his wife and keeping up with two grown children. 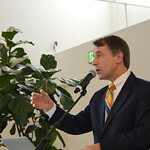 Dave Jones has been California's Insurance Commissioner since 2010. Jones leads the California Department of Insurance and regulates the California insurance market, the nation's largest. Since taking office, Jones has developed a reputation for securing consumer-favorable legislation. Amongst other recent achievements, Jones established pioneering climate risk financial disclosures for insurers. Jones began his career as a legal aid attorney and in 1995 was awarded the prestigious White House Fellowship. He served in the Clinton Administration as Special Assistant and Counsel to the U.S. Attorney General. Jones served on the Sacramento City Council from 1999 to 2004. Jones graduated with honors from DePauw University, Harvard Law School and Harvard University's Kennedy School of Government. He and his wife, Kim Flores, have two children, Isabelle and William. 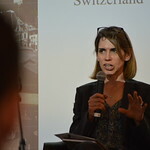 Gioia Deucher is the CEO of swissnex San Francisco. Her professional journey has taken her to various countries, from Colombia and Switzerland to the U.S. and Palestine and Brazil. 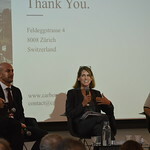 Gioia has dedicated the last eight years to fostering cross-continental collaborations to inspire and strengthen Switzerland’s innovation ecosystem. 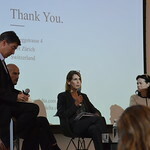 Before setting out to build the first Latin American swissnex office in Brazil in 2013, she headed the Startup and Innovation team at swissnex in San Francisco, where she has returned as CEO in July 2017. 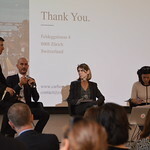 Gioia holds a Master’s degree in International relations from the Graduate Institute (IUHEID) in Geneva, Switzerland, and a second Master’s in Law and Diplomacy from the Fletcher School in Medford/Boston, USA. 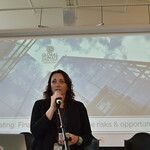 Ilmi Granoff is the Director of ClimateWorks Foundation’s Sustainable Finance Program. He is an attorney and policy expert with a decade and half of experience in environmental law and policy, sustainable development, energy and infrastructure finance, and public-private partnerships. Previously, Ilmi headed the Green Growth Business Unit at the Overseas Development Institute, served as the Special Counsel for Climate and Environment and the African Development Bank, and practiced law in the global energy and infrastructure group at Freshfields. He holds graduate degrees in law, international relations, and environmental science from New York University and Yale University, and a BA from Swarthmore College. 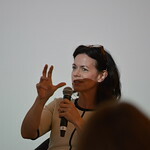 Richenda Connell is the CTO and Co-founder of Acclimatise. She manages the development of our products and services, ensuring that the company remains at the cutting-edge of best practice in climate risk management. Richenda has 20 years of expertise working at the interface between decision-making and scientific issues, on climate change, air pollution and environmental impact assessment. She was formerly Technical Director at the UK Climate Impacts Program, where she co-developed the world’s first web-based climate adaptation tool and the UKCIP climate risk management framework, now recommended in UN and World Bank guidance. Richenda has helped several hundred UK public and private sector organizations assess and manage their climate risks. Val Smith is Managing Director and Global Head of Corporate Sustainability for Citi. She joined Citi in 2004 and oversees Citi’s global sustainability initiatives, including leading the bank’s Sustainable Progress Strategy and $100 Billion Environmental Finance Goal. 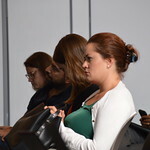 Val also serves as an advisor and spokesperson on sustainability and stakeholder issues and trends. Val serves on the boards of the United Nations Global Compact USA Network and the New York League of Conservation Voters Education Fund, and is a member of the Aspen Institute Leaders Forum. Val has an MBA from UNC Chapel Hill and BA from University of Virginia. Additional speakers will be announced soon. Please check back for updates. swissnex and partners are pleased to announce the winners of SAFT - Energy startup solutions for 2050.